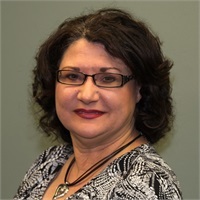 Debbie Turney, Administrative Office Manager, who is also a Registered Assistant, joined Jernigan Financial Group in 2011. Debbie has 30 years of experience in the financial services industry. She holds a Series 6 securities license as well as her Kansas Life & Health insurance license. Debbie is the first person you’ll see when you arrive at our office and is usually the friendly voice you will hear when you call. Debbie assists Jake in all areas of administration and serving clients. Caring for our clients is her number 1 priority. Debbie and her husband, Kevin, have one son and reside in Wichita.